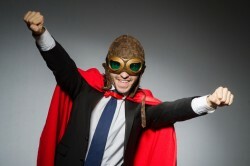 Want to be the hero at work? Introduce your boss to this productivity booster for manufacturing! According to the US Government Bureau of Labor Statistics, labor productivity rose in 77 percent of the 57 detailed manufacturing industries during 20141. So the mandate from the boss is to increase output. “Oh, and by the way, you can’t hire anyone new and overtime is not an option” your boss adds while turning to walk away. “What do you want me to do?”, you respond. “You’ll just have to get more efficient like all those other companies”, your boss responds.